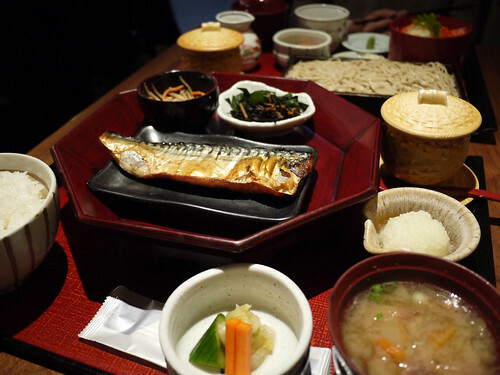 In brief: As always, a filling and fulfilling lunch at Ootoya. At least from my stomach's point of view. I figured out the trick to having the mini salmon don at Ootoya and not leaving stuffed full to the gills. Don't eat the miso soup. It's that extra bowl of soup that just tips you over the edge from fully satiated to about to burst. Or maybe that's just me and if you're a big hearty eater you will appreciate the laden trays.